DO you need a support service for your working holiday? So you are at work or school, scrolling through the stunning photos of New Zealand, reading travel blogs and dreaming of being somewhere other than where you are right now. You know it is time to go out on an adventure! 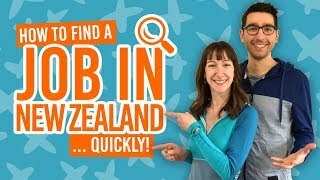 Search enough, and you will notice travel companies promising the “best New Zealand gap year experience”, “work and travel abroad”, etc. etc. These companies are the working holiday programs. They are also known as “working holiday support services”, “gap year programs” and “working holiday starter packs”. With the popularity of the working holiday visa in New Zealand, more and more of these companies are operating in New Zealand. But what exactly do these companies do? And can you easily start your working holiday without them? Find out whether you should or shouldn’t use a working holiday program in New Zealand below so you can get the right working holiday experience for you! What do working holiday companies offer? The services that working holiday programs in New Zealand offer vary from company to company. That’s why we cannot stress enough that you should compare the services of your chosen working holiday companies to see if they: a) provide the services you would like, and b) are good value for money. Some companies offer a service to help you apply for the working holiday visa. Honestly, don’t pay anyone for that. Just follow our free step-by-step guide. Can you start up your working holiday by yourself? You can and it is possible! Many backpackers in New Zealand on a working holiday visa do just that. 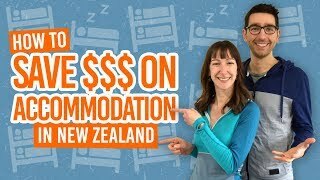 There are some services that working holiday companies provide that you can do yourself, such as getting a SIM card and booking a hostel to stay in when you arrive in New Zealand. Sure enough, you can work your way through getting your bank account sorted and getting all the paperwork together for the tax number. You need to make sure that all this paperwork is processed and delivered by mail back to the hostel you are staying at before you can apply for a job or start travelling New Zealand. To receive your IRD number by mail, this takes about 2-3 weeks. During this time you can be figuring out how to write an effective New Zealand CV and researching the best ways to apply for jobs in New Zealand. Plus, you want to make the most of travelling and seeing this amazing country so there’s a lot to think about, plan and book. Do you save money by going it alone? As you can see, by starting your New Zealand working holiday by yourself you are not going anywhere fast in the first portion of your New Zealand gap year. However, you are meeting challenges head on, which, if successful, can be very rewarding. Also, you will have saved some money by not buying what can be a pricey gap year program or working holiday starter pack. However, it is this time frame of setting up your life in a new country which really determines how much money you are spending. 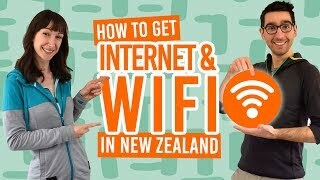 Where a starter pack will have you ready to work and travel New Zealand within the first week (even days) of being in the country, doing it yourself will take much longer. That time you spend in your arrival city, usually Auckland in the North Island, means you are spending money on more hostel nights, food, postage for the tax number, WiFi access and whatever trips and entertainment you are using to pass the time. Add that all up, and it might not be too far off the price of a working holiday program. How does a working holiday work with a company? A New Zealand working holiday program is designed as a service to help give support and make your life easier throughout your gap year. This is a rough idea of how the first few days with a working holiday program plays out. An experience with a working holiday program usually involves some support and advice about what you need to prepare for your working holiday before you arrive in New Zealand. You might communicate with the company via Skype and email. Then, when you arrive in New Zealand, an airport transfer takes you straight to the hostel where you have a few nights already booked for you. Then, you’ll meet up with the company the next day where you are given the lowdown of how things work in New Zealand. You should have an appointment with the bank and be shown how to apply for the IRD number. Perhaps the next day, you talk about the various travel options with the company and get some advice on this. Someone will give you feedback on your CV/resume to make sure it is what New Zealand employers look for and tell you the best ways to apply for jobs. With a mail-holding service, the company can send you your IRD number via email or post while you are on the road. Throughout your travels, you’ll have someone to contact should you have any problems. SO should you travel to New Zealand alone or with a working holiday program? This all comes down to what type of person you are and what sort of experiences you are wanting to get out of your New Zealand gap year. If you are looking for a challenge without cutting any corners, or have even done working holidays in many other countries and have survived this far, then perhaps a working holiday program is not for you. On the other hand, for those who see the fact that they are starting a new life abroad as a challenge enough, want to start working and travelling the amazing New Zealand as soon as possible, and have the peace of mind that someone is there to help them while they are in New Zealand, then a working holiday program or support service is probably the best option for you. There are many working holiday programs from both international and local companies that provide this service. Make sure you compare companies and have a look at review websites like Go Overseas to get an idea of customers’ experiences. To start off your research with a good recommendation, we suggest you have a look at Working Holiday Starter. That’s due to the fact that their website almost gives BackpackerGuide.NZ a run for our money with the amount of helpful information on the website (emphasis on the almost), such as How to Find a Job in New Zealand and How to Plan for a Working Holiday in New Zealand. Plus, the raving reviews and the fact that some of our team used this company when they first arrived on a working holiday. Aside from working holiday programs, check out what other things you need to prepare for the trip of a lifetime.